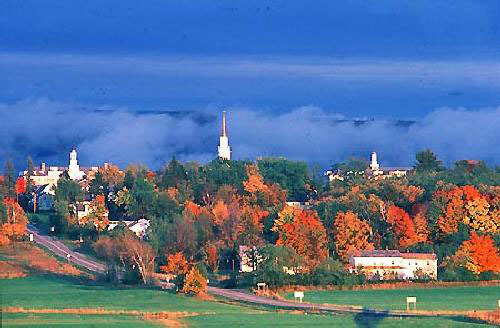 What is great about Middlebury is that in addition to paying for my tuition/board/books they also gave me my first job. Also, when my entire family flew from Los Angeles to Vermont to drop me off for my freshman year my classmates whose families were paying for their colleges (and who wrote their own college applications) treated us as if we were paying for my education, something we have never done. I am proud to be a Latina who cheated to get into Midd because I want to travel to Italy and France on someone elses dime. And, when I earn my Middlebury BA, I will be happy knowing someone else wrote my applications because cheating if fine at Middlebury College and fits my ethical standards perfectly. I can guarantee this is not an actual Middlebury student. Middlebury takes cheating very seriously. It is also a very tough to school to get into and to do excell in. That being said, it also provides an unbeatable education and is a great place to be. I suppose I wrote that a bit too quickly. Please strike the first "to" and "do". I would not be too hasty to conclude that the writer is not a Middlebury student. It sounds to me like a tongue-in-cheek critique of the self-enforced moral blindness that attends the culture of PC that is endemic at elite liberal arts colleges in the US. Of course, a healthy respect for one's own self-interest dictates that such critique is best pursued under the protective cloak of satirical anonymity. I knew this couldn't be an actual Midd student when I read they let people in with "average" grades and "low" SAT scores. I have friends who applied to Middlebury with straight As and practically perfect SATs but they didn't get in. Plus I have a friend who's dad is on the admissions board and cheating is DEFINITELY not taken lightly here. Minority or not. Hah, this sounds like a tr0ll from a jealous college. Or just an idiot who thinks this is revenge for getting rejected. This is definitely a satirical critique of the way that Middlebury's standards, like those at most elite educational institutions, have been compromised by political correctness. At some schools, race and ethnicity trump grades, test scores, writing ability, etc. when it comes to admission. Of course, everyone knows this, but few would dare to admit it in public. Hence this reviewer has chosen anonymous satire as the appropriate genre to comment on MC.